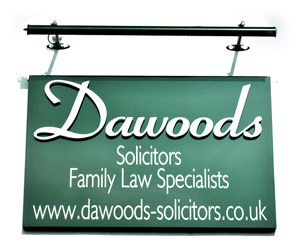 Dawoods’ offices are based in Shortlands Village, Bromley just outside Shortlands Railway Station. By train – we are a two minute walk from the closest railway station, Shortlands. Trains are every 15 to 30 minutes from Victoria/Blackfriars with approximate travel time being less than 30 minutes. Bromley South is only one train stop away. Bromley North is a 15 minute walk. By Car – metered and some free parking (excluding 12-2pm) is available on Ravensbourne Avenue, Station Road , Meadow Road and also the station car park, all within 2 to 4 minutes walk from our offices. Further parking is available at The Hill Car Park approximately 8 minutes walk from our office. By Bus – bus routes 227 and 358 stop almost outside our offices and the 367 bus stop is a 2 minute walk. By foot – when you reach the main shopping parade at Shortlands village, almost across the road from Shortlands Railway Station, our offices are above Home Zone estate agents. The materials appearing on this website do not constitute legal advice and are provided for general information purposes only. No warranty, whether express or implied is given in relation to such materials. We shall not be liable for any technical, editorial, typographical or other errors or omissions within the information provided on this website, nor shall we be responsible for the content of any web images or information to this website. Unless otherwise stated, Dawoods owns the copyright in this website and its contents. You may print information contained in this website for your personal use only. No part of the website may be published, transmitted, reproduced or stored on another website or any other electronic form without obtaining prior permission from Dawoods and Dawoods should be acknowledged as the source of the material in all cases.